Have you fallen in love with the North Carolina High Country and find yourself visiting at least once a year? Consider buying a vacation house and guarantee your family has a spot in the mountains to vacation to. With the pleasant, mild summers and gorgeous, fun-filled winters, you and your family will find yourselves wanting to visit every season! 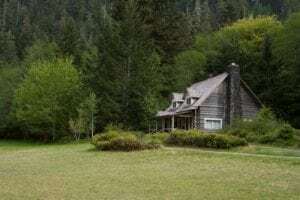 If you think a cabin is a great family vacation house, let Antler Realty guide you through choosing the best deal among the cabins for sale in Banner Elk NC! With our decades of experience and total familiarity with the local market, the folks at Antler Realty have the tools, knowledge and skills to find YOU the perfect cabin for the best price. Summers in the mountains are just as fun and adventurous as the winters. Visit the beautiful Linville Falls, owned by the National Park Service. Fun fact: Linville Falls has the highest volume of any waterfall on the Northern Edge of the Blue Ridge Mountains! Visit Grandfather Mountain for a day filled with fun for the whole family. The folks at Antler Realty would love to help you find cabins for sale in Banner Elk NC that are close to these wonderous features. Winters in Banner Elk are wonderful for the warm and cozy practice of hygge – the Danish lifestyle trend of seeking and enjoying all things warm and cozy in the winter months. After all, how can you not feel relaxed sitting a snowcapped cabin by a fireplace? If you seek more of a dining and entertainment experience, consider visiting the village at Beech Mountain Resort. For serious skiers, Sugar Mountain Resort’s long runs will guarantee days-worth of entertainment. Our sales force has been handpicked based on their enthusiasm, experience, and strong work ethic. Whether you are looking for a cabin on your private corner of the mountain or along one of the area’s pristine golf courses, our staff will carefully listen to your objectives and pinpoint your individual needs. Stop by our office in downtown Banner Elk at 146 Shawneehaw Avenue, give us a ring at (828) 898-3111, or email us to start your search for cabins for sale in Banner Elk NC!